Cars, people and events in this week’s Motoring Milestones include: Formula 1, Lamborghini, Winton, Maserati, and the Chevrolet Corvette. 120 years ago this week, Emile Levassor (54) died from complications arising from injuries suffered near La Palud, France during the Paris-Marseille road-race [14 March 1897]. Four days later a daughter was won to Anna and Gottlieb Daimler in Stuttgart, Germany, who was christened Emillie in his honour…… Scottish immigrant, Alexander Winton founded the Winton Motor Carriage Company of Cleveland, Ohio [15 March 1897]. Winton was the first American company to sell a motor car. Their first automobiles, called “horseless carriages,” were built by hand and assembled piece by piece. Each vehicle had fancy painted sides, padded seats, a leather roof, and gas lamps. After 12 years in the bicycle manufacturing business, Winton began producing cars with his name on them in 1896. A fiery Scotsman, Winton took the challenge to build the world’s fastest automobile personally. Like Ransom Olds, he raced his own cars. Racing at Daytona Beach is said to have begun with a match race between Winton and Olds in 1902, which the two men declared a draw. A year later, Winton won a multi-car race at Daytona, driving his Winton Bullet to an average speed of 68 mph and becoming the first person to break the mile-per-minute barrier. Alexander Winton’s personal rivalries did not stop with Ransom Olds. In 1901, Henry Ford, after being passed over for a mechanic’s job with Winton’s company, defeated Winton in his first and last car race. Ford’s future notoriety would depend heavily on the publicity won in his encounter with his one-time potential employer. James Ward Packard also maintained a personal rivalry with Winton. After having purchased a Winton, Packard complained about the car’s reliability. Winton reportedly politely urged Packard to build his own car. Packard responded by starting his own company. In the first decade of American car racing Wintons and Packards, driven by Barney Oldfield and Ralph DePalma, respectively, would fuel the sport’s greatest rivalry. In 1903, Winton drove his car from San Francisco to New York to prove the reliability of his vehicles. It was the automotive industry’s most dramatic achievement up to that point. A popular anecdote sums up Winton’s involvement in the early automotive industry. Faced with mechanical problems in an early Winton, a Cleveland area resident reportedly towed his Winton through the streets of Cleveland with a team of mules exhibiting a sign reading, “This is the only way you can drive a Winton.” In response, Winton hired a farm wagon carrying a jackass to follow his detractor, exhibiting a sign that read, “This is the only animal unable to drive a Winton.”…….100 years ago this week, Carl Kelsey was issued with a US patent for his friction drive transmission [13 March 1917]. 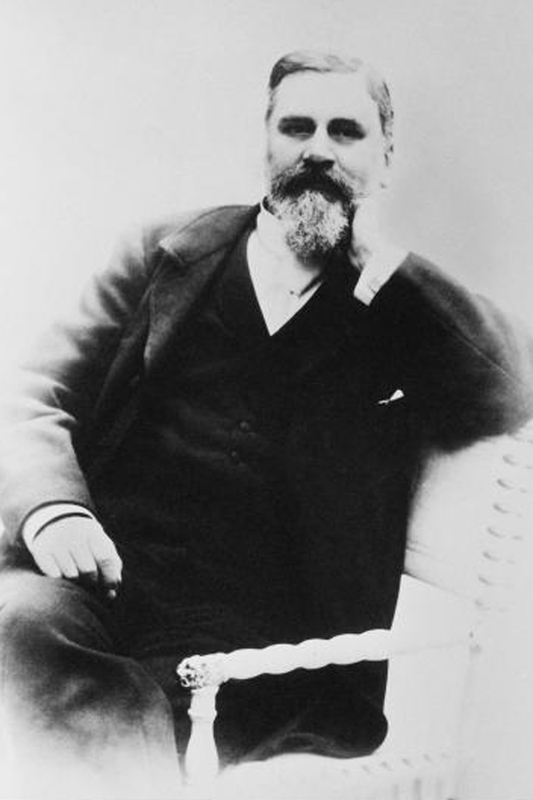 He built his first 4 wheel car in1897. While still in college he and a classmate, I. Sheldon Tilney, designed a single cylinder, 5 hp vehicle with 2 wheels in the front and 1 in the rear. They called it the “Autotri“. Sons of wealthy Philadelphians, the boys’ fathers intervened in the work, sending their sons back to school work because the automobile was “an instrument of the devil”. By 1901 Kelsey was consorting with the devil again when he built a 2 cylinder, 4 wheeled auto. In 1902 he began to sell Maxwell autos and he worked for Maxwell Motor Co. as its Sales Manager from 1905 – 1909. Sensing disaster coming at Maxwell, he left to begin making cars of his own. He formed the C. W. Kelsey Manufacturing Company and produced the three-wheel Motorette car from 1910 to 1912. Later, he manufactured the “Kelsey Motor Company Perfected Friction Drive” car (1920-24). In 1924 Kelsey quit the automobile industry. The Kelsey Motorette was introduced in 1910 in the USA. The vehicle was designed and manufactured by C.W. Kelsey and was produced in limited numbers; about 210 were produced. Power was supplied by a 2-stroke 2-cylinder engine that was initially air-cooled in the first models. A switch was made to water cooled engines by 1911. The engine drove the single rear wheel and steering was controlled by a tiller device. The first models produced tended to roll on cornering and anti-sway bars were developed to counteract this. 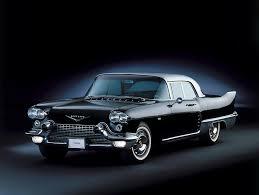 Several hundred vehicles were built and shipped throughout the USA as well as Denmark, Canada, Mexico and Japan. In addition to the standard version, a delivery van was also created as was a rickshaw model that was exported to Japan…… Wally Booth drove his AMC Hornet to victory over Jack Roush’s Mustang in the Gatornationals Pro Stock finals. It was the first NHRA Pro Stock win for American Motors [18 March 1917]…….. 90 years ago this week, Robert Benoist driving a Delage 15-S8 won the Grand Prix de l’Ouverture at Montlhéry, France [13 March 1927]….. Petrol prices in Great Britain dropped to one and four pence-halfpenny a gallon [15 March 1927]….. The first Falcon-Knight was produced [16 March 1927]. Falcon-Knight was a brand of automobile produced between 1927 and 1928 by the Willys-Overland Company of Toledo, Ohio. 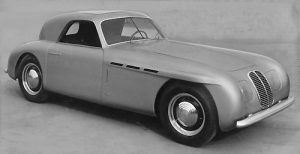 The Falcon-Knight was intended to fit in price between the Willys Whippet and larger Willys Knight ranges and was priced $1250, $100 less than the Willys Knight 70A Roadster. It was powered by a six cylinder Knight sleeve valve engine. Except for the engine, much of the car is actually the same as the Model 93A Whippet with many parts being interchangeable. In January 1928, a new model 12 was announced with mainly cosmetic changes. The automobiles were well received with “a remarkable reputation for all-around performance and the sales were notably high. The last cars were made in March 1929 after which the plant made truck parts……. Wade Morton set a US stock car record, driving an Auburn 8-88 1,000 miles at an average speed of 68.37 mph at the Atlantic City Speedway, New Jersey, US [18 March 1927]……. 80 years ago this week, Tommy Elmore drove a Ford V-8 Special to victory in a 100 mile Stock Car race on a 1 mile beach course in Florida. Elmore averaged 57.6 mph [14 March 1937]……. 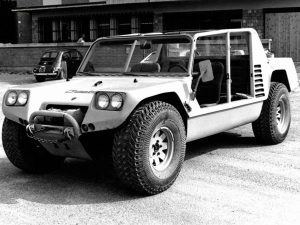 The Lamborghini Cheetah – Lamborghini’s first attempt at an off-road vehicle that wasn’t a tractor was presented at the ’77 Geneva Motor Show [17 March 1977]. It was built on contract from Mobility Technology International (MTI), which in turn was contracted by the US military to design and build a new all-terrain vehicle. The basis of the design came from MTI, and was largely a copy of FMC’s XR311 prototype developed for the military in 1970. This resulted in legal action from FMC against MTI and Lamborghini in 1977. The Cheetah was built in San Jose, California. After initial construction, the prototype was sent to Sant’Agata so Lamborghini could put on the finishing touches. They decided to go with a large, waterproofed 180 bhp 5.9L Chrysler engine, rear mounted, with a 3 speed automatic transmission. The body was fiberglass, and inside there was enough room for four fully equipped soldiers as well as the driver. The mounting of the engine in the rear gave the Cheetah very poor handling characteristics, and the engine choice was not powerful enough to be adequate for the heavy vehicle (2,042 kilograms (4,502 lb)), resulting in overall poor performance. The only finished prototype was never tested by the US military, only demonstrated to them by its designer, Rodney Pharis. It was later sold to Teledyne Continental Motors by MTI and is apparently still in the US. In the end, the military contract was awarded to AM General and their similar looking Humvee. The failure of the Cheetah project, along with Lamborghini financial problems, led to the cancellation of a contract from BMW to develop their M1 sports car…….José Carlos Pace (32), Brazilian Formula One driver was killed in a light aircraft accident, just days after the 1977 South African Grand Prix, in which Tom Pryce was killed after running over Jansen Van Vuuren [18 March 1977]. The track which hosts the Brazilian Grand Prix annually now, as a tribute to him, bears his name, Autódromo José Carlos Pace……. The last Rover P6 (named 2000, 2200, and 3500 for its engine displacements) rolled off the production line after 14 years [19 March 1977]. The P6, which was voted European Car of the Year in 1964, and the last of the “P” designated Rover designs to reach production. 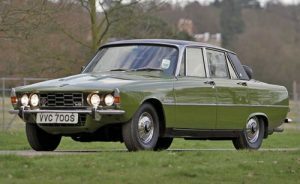 The vehicle was marketed first as the Rover 2000 and was a complete “clean sheet” design intended to appeal to a larger number of buyers than earlier models such as the P4 it replaced. The P5 was sold alongside the P6 until 1973…… 30 years ago this week, the Range Rover was launched in USA [16 March 1987]……. 20 years ago this week, IMSA president Andy Evans manipulated the rules during the 12 Hours of Sebring, helping himself, Fermin Velez, Yannick Dalmas, and Stefan Johansson to win the race in a Ferrari 333SP [15 March 1997]. His actions spawned the creation of both the ALMS and USRRC sportcar series…… 10 years ago this week, international cricketer Manjural Islam Rana (22) died in an accident while the Bangladesh cricket team were in the Caribbean for the 2007 Cricket World Cup [16 March 2007]. The accident happened when his motorcycle collided with a microbus and then hit an electrical pole at the side of the road. Rana died of severe head injuries. Sajjadul Hassan, who was a cricketer for Khulna Division, was also killed in the accident…….The first round of the championship, held in Australia, was won by Kimi Raikkonen to bring his F1 win tally to 10; the race saw Lewis Hamilton finish third in his first F1 outing [18 March 2007]. There was criticism for Bridgestone, as the markings on the softer of the two tyre options could not be easily seen when the car was on track, at the following race the small dot was replaced with a white line in the second groove of the tyre.